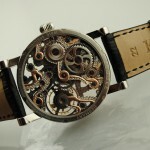 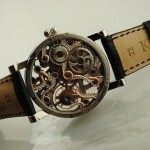 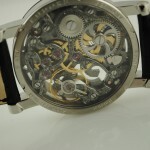 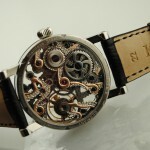 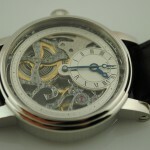 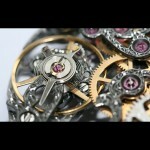 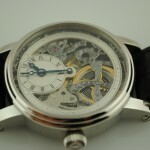 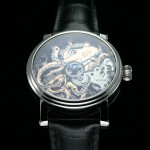 Stefan Kudoke is a true young talent in the Independent watchmaking world. 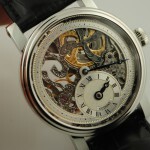 Stefan embraced watchmaking culture at a young age and began to develop his skills from scratch. 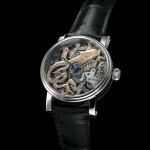 Stefan went on to study watchmaking in his late teens. 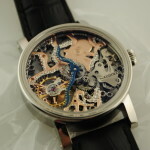 Stefan graduated with honors and began to hone his skills while working in the workshops of Glashutte Original, in thecomplications and prototyping studio. 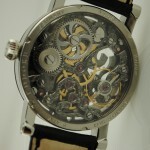 Later, Stefan also worked in New York, performing after sales service for Breguet, Blancpain and Omega. 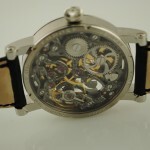 All of this success, at a young age, did not leave Stefan satisfied.Stefan earned his master craftsman certificate at age 22 and decided to begin with his own watches. 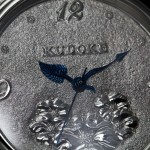 In fact, he was prepared to spread his wings and do more. 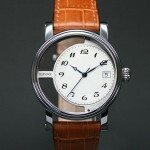 He shares the common pull of all independents, the desire to create outside of the commercial world. 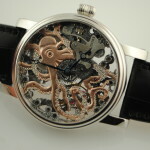 Stefan Kudoke’s watches are unique. 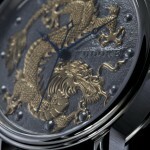 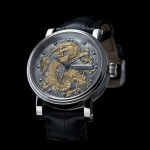 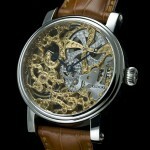 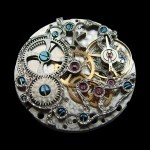 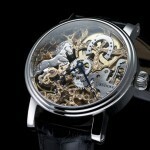 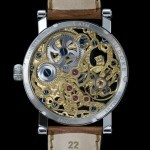 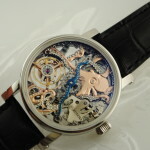 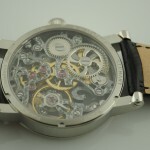 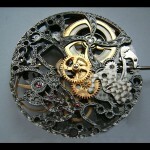 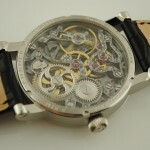 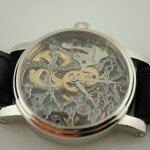 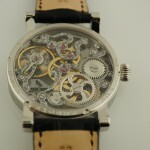 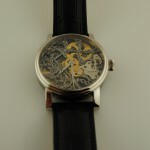 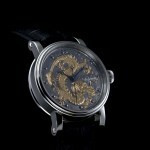 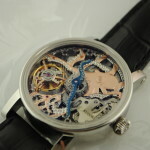 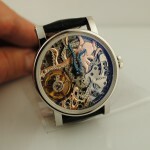 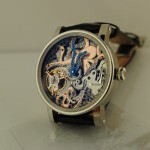 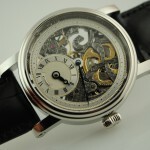 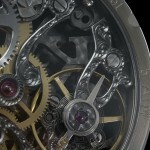 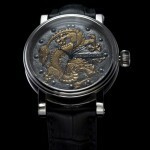 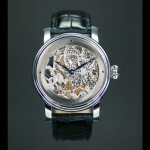 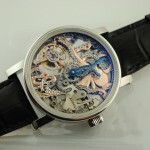 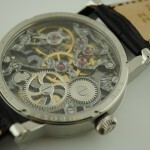 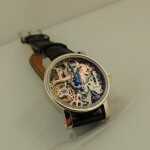 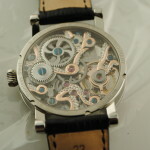 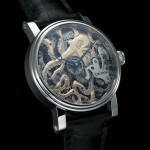 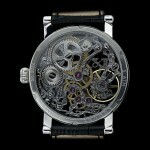 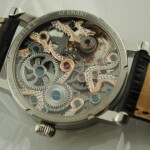 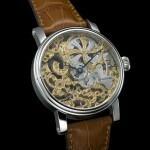 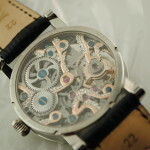 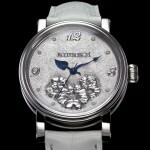 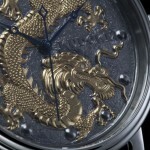 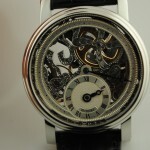 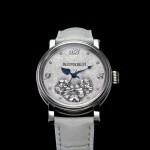 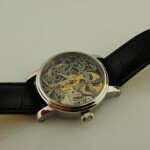 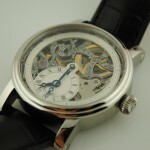 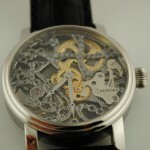 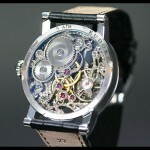 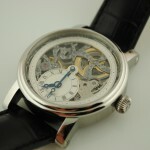 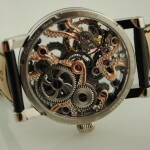 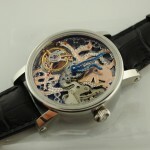 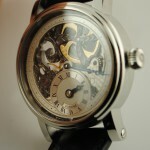 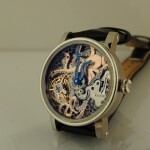 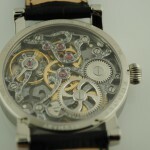 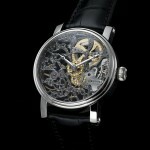 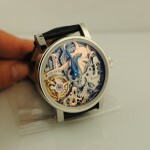 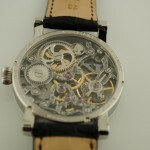 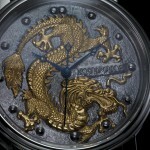 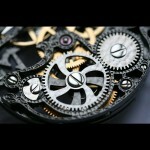 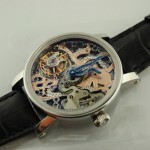 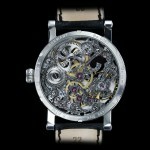 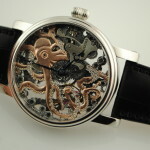 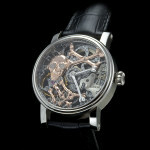 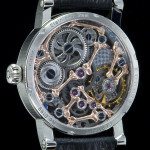 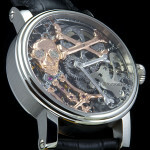 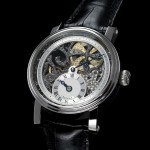 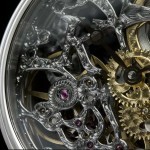 Yes, there are others in watchmaking that perform hand skeletonization and hand engraving on watches. 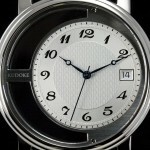 But, none can exude the hand detail and passion of heart that Mr. Kudoke does, at the extrordinary value that Mr. Kudoke has chosen to present his watches. 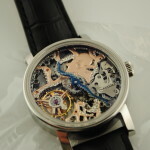 I believe all independent watchmakers step outside of commercial watchmaking in order to make a very unadulterated and heartfelt presentation of the viewpoint on horology. 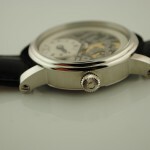 Each watch is the result of weeks worth of painstaking hand craft, completely evident in the finished product. 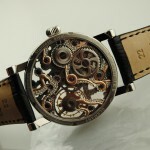 Stefan is relatively young still and makes such a strong statement with these watches. 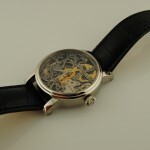 Each watch characterized by the true nature of his affection for the ‘mechanique”. 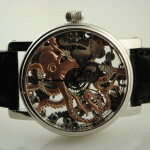 Stefan has a real desire to create watches that are at once, unique and multi-dimensional. 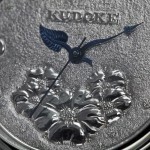 To hold a watch by Stefan Kudoke, is to realize what it really means for one to be passionate about one’s work.I am convinced that this is just the beginnings for this most talented watchmaker and student of horology. 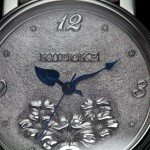 The horological world will continue to see great things from Stefan Kudoke. 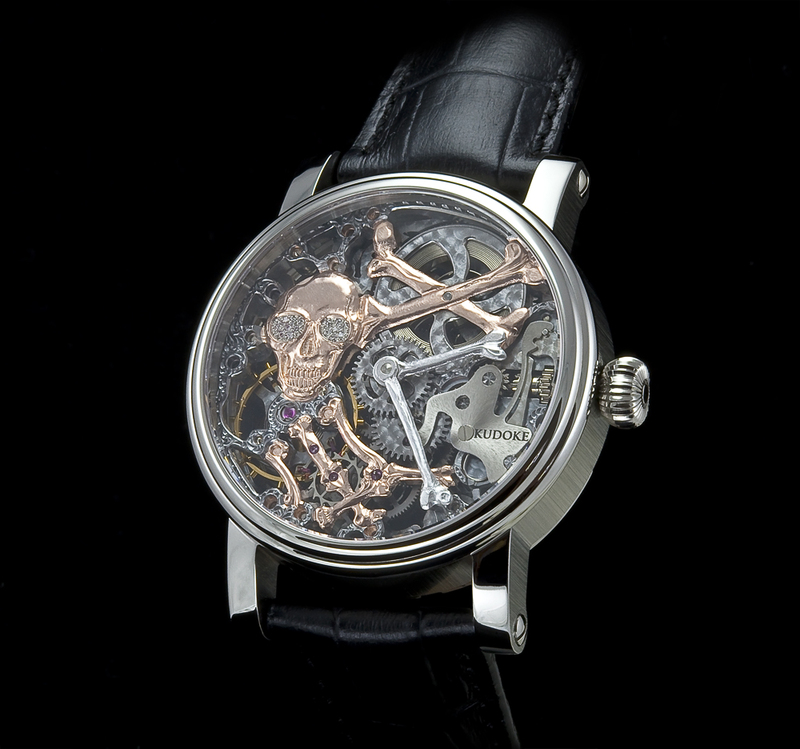 I am thrilled to have the opportunity to work with such a fine talent.